According to the Water Footprint Network the fresh water involved in the production of a single cup of coffee (125ml) is 140 liters. One part of coffee consumes 1100 water parts. 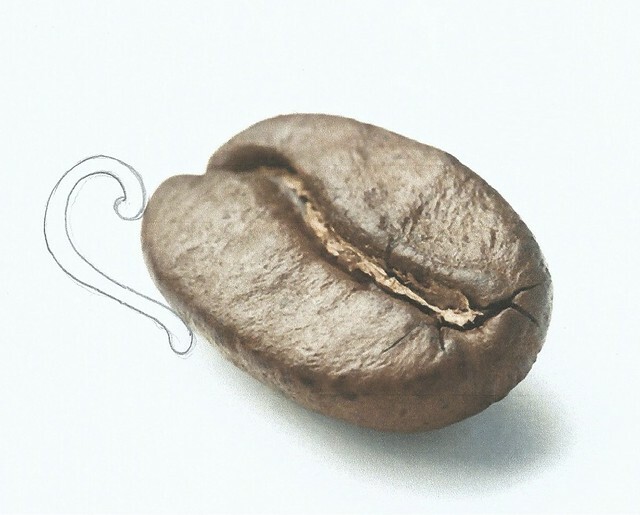 To make an average cup of coffee requires around 40 coffeebeans. To produce one bean requires 3,5 liters of water. In total the global consumption of coffee requires about 110 billion cubic metres of water per year. That is the equivalent to the water discharge from the river Rhine over a period of 18 months. According to our calculations, and because of proportional shrinkage of the body, The Incredible Shrinking Man will consume only 2% of contemporary man’s coffee needs. Such a dramatic reduction in the use of water resources has obvious environmental and economic advantages, but just as important, there’s poetry in having a cup of coffee that is made from just one single coffee bean.